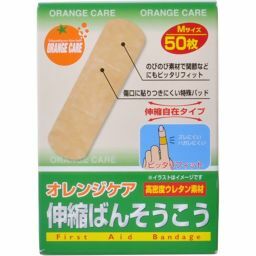 "Orange care stretch contraction M size 50 pieces" is a stretchable bandage plaster which fits perfectly even for joints and the like with a relaxing material. 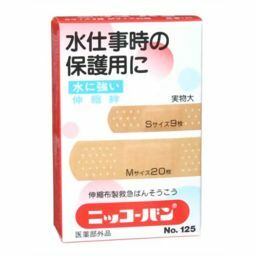 Special pad that is hard to stick to the wound. Telescopic type. 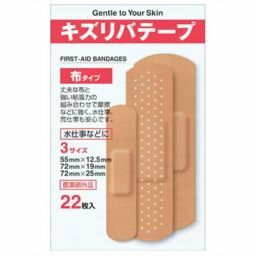 ● If you experience symptoms such as rash, redness or itching due to the use of this product, discontinue use and consult your doctor or pharmacist. 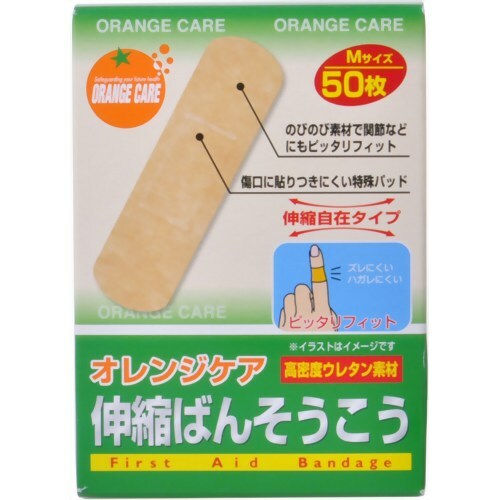 ● If the pad part gets wet, or left unclean, Scratch will not cure well, so clean the affected area and replace it. 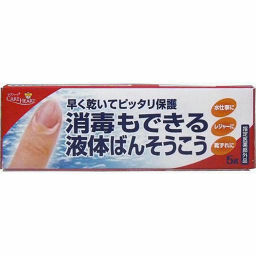 ● Do not apply for a long time or remove rapidly, as it may cause skin irritation. 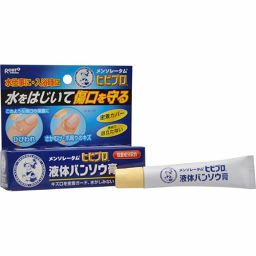 ● Please use carefully around the eyes that are vulnerable to irritation and on soft skin surfaces such as the face. ● Avoid direct sunlight, please keep in a cool, dry place. ● Do not reuse products removed from the affected area.